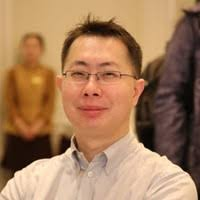 Born in Taiwan, and educated in the US and Japan, Jeffrey has over 17 years of experience in cross-border investment and business operations, specializing in China and Japan. In Beijing and Shanghai, Jeffrey was in charge of IPOs and cross-border M&A for the consumer goods vertical at China International Capital Corporation Limited (CICC), a joint venture between the Chinese government and Morgan Stanley Securities Co., Ltd. and later the Shanghai branch of Tamasek, a Singapore state investment company. Currently, as the head of Magi Capital’s investment team in Shanghai, he is responsible for fundraising, operations, and strategic IR. In Japan, as part of Oracle Japan’s sales and consulting team, he lead numerous Japan-China cross-border business projects for multinational companies. Jeffrey has a Bachelor’s degree from the University of Illinois at Urbana-Champaign and an MBA from the MIT Sloan School of Management.